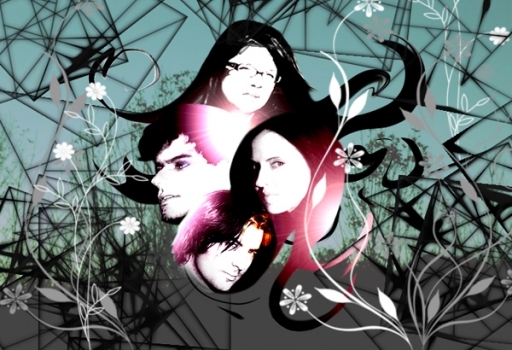 Formed in early 2002, based on a mutual love of dream pop and early 90's Brit Rock. Seemlessly melding the sonic dynamics of noise and pop with throbbing bass lines, jagged, angular synths, searing dark atmospheric guitars and urgently violent banshee vocals, Autodrone have no problem reaching out from the stage to the crowd, grabbing you by the throat, and screaming in your face, even when in reality sometimes they are only whispering. Their shows are an intense emotional surge for the band and audience alike. Their self-released EPs have quickly developed the attention of the UK and American Press garnering universally favorable reviews, while easily selling out of print. This year, Autodrone signed to Clairecords - Catch them at CMJ 08 - SXSW, and everywhere else! Look for Strike A Match in stores, on November 11th 2008.